MarketSaw - 3D Movies, Gaming and Technology: UPDATE: Theatrical Trailer for THE HOBBIT 3 Coming Nov. 6? 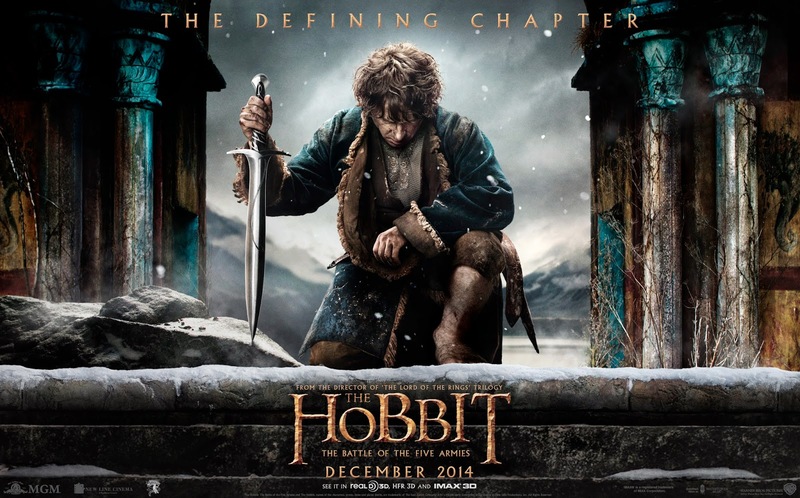 UPDATE: Theatrical Trailer for THE HOBBIT 3 Coming Nov. 6? Tim here, and Happy Halloween everyone. It's the last day of October and we still haven't gotten a theatrical trailer for The Hobbit: The Battle of the Five Armies like we thought. TORN is reporting that November 6th may be the date. Warner Bros. will likely pair it with another big movie of theirs: Interstellar. This is a slight margin of error for PJ's earlier comments this year. We can't hold it against him as we all know delays are bound to happen. Plus today is a special day for him. We'll keep an eye out and share it with you as soon as it hits. For the meantime enjoy dressing up as your favorite characters from your favorite 3D movies this year... Happy Halloween. And... Happy Birthday Peter Jackson! Labels: 2014, Peter Jackson, The Hobbit, The Hobbit: The Battle of the Five Armies, Trailer, Warner Bros.